This freshly painted and pristine move-in condition one bedroom studio conversion is available for immediate occupancy. 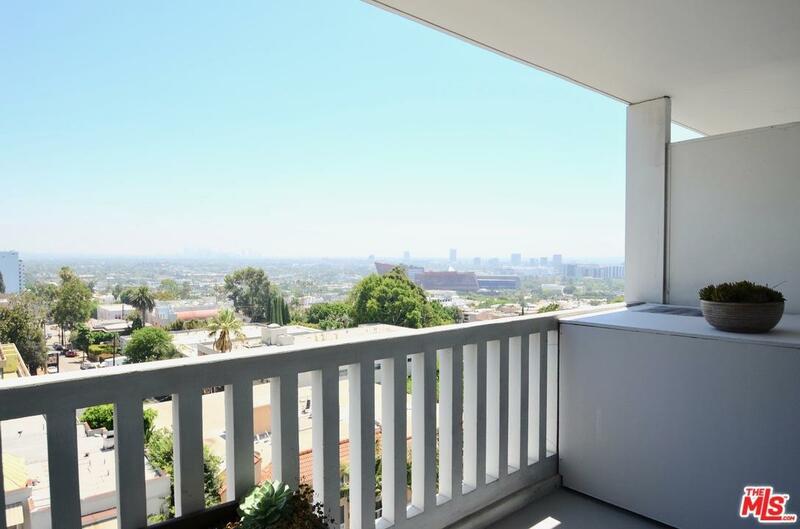 Its stunning 180 degree panoramic views include the downtown skyline, beyond to Mt. Wilson and Long Beach on clear days. 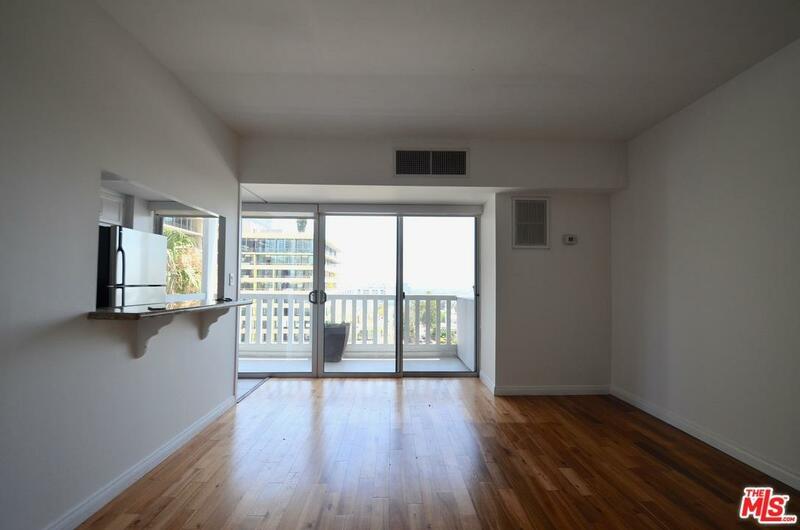 All new custom window treatments, newer hardwood flooring, granite counter-tops, new dishwasher & microwave. Very private with only one common wall. A Salt water swimmer's pool is heated year round. Gym recently refurbished. pool, spa, gym, 24 hr. concierge, guard and walking distance to Sunset Blvd's most upscale clubs, restaurants and boutiques. 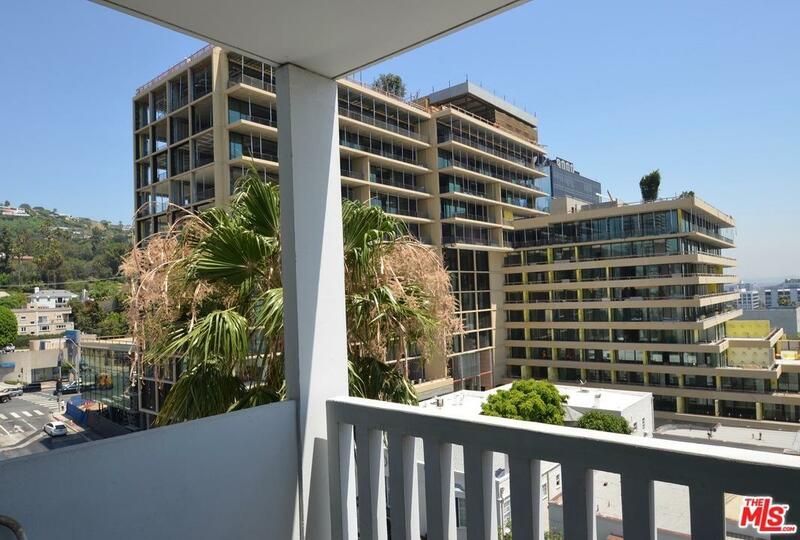 You will not find a West Hollywood highrise in a more convenient and secure location. Valet service is for guests. Owners park their own cars. Only Owners may have pets (sorry that is a CC&R rule). Tenants must have Tenant insurance and good credit. 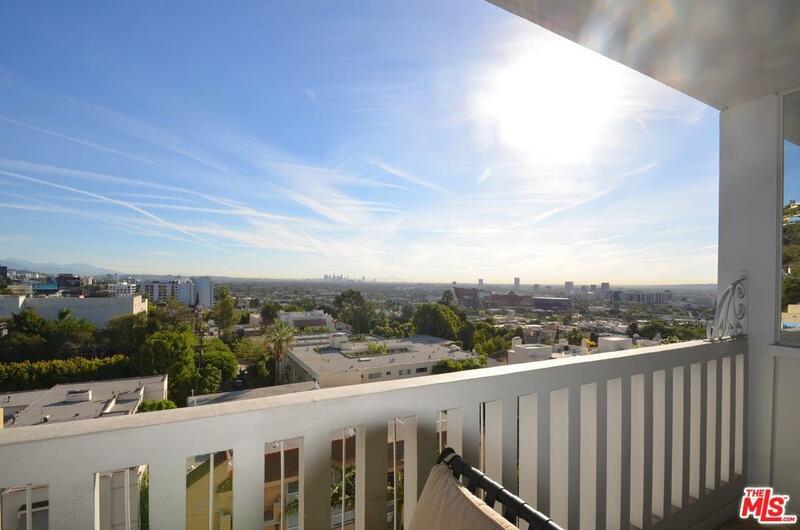 Sold by Marie Charlotte Vatelot BRE#00663454 of The Oppenheim Group. Listing provided courtesy of Saundra Renard DRE#00663454 of The Desert Connection Realtors.